Lloyd’s player requires a new Head of Actuarial. Predominantly a pricing role, the qualified actuary will have experience of working in a management role, providing actuarial services to a number of internal stakeholders. 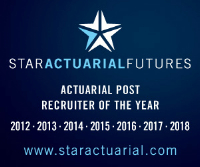 Candidates will have strong pricing experience and have worked for around 8 years in the actuarial insurance industry.